We’ve been getting a lot of questions lately about the right age to start a dog on an electronic pet containment system. 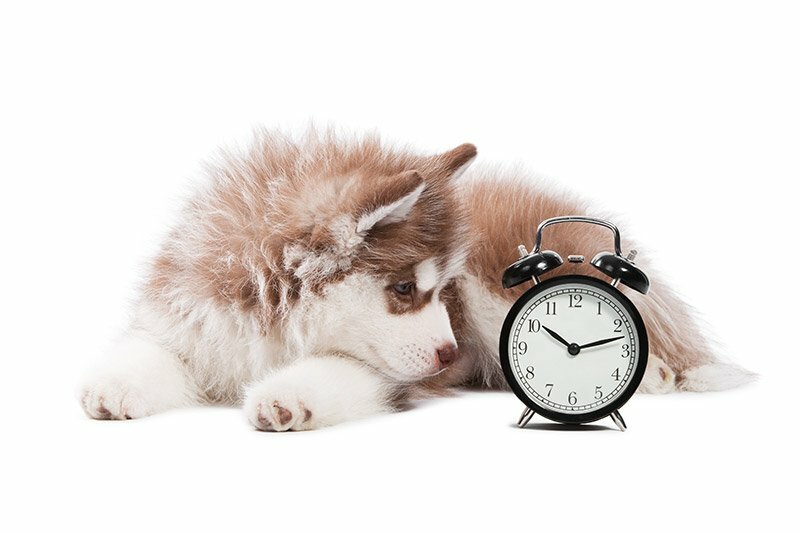 The general rule of thumb is 4 months, but it really depends on the dog. Once your dog can follow the three basic commands – come, sit, and stay – he or she can be trained on the pet containment system. Puppies under 3 months typically don’t have quite the attention span they need to learn their boundaries. If you have any concerns, it can be a good idea to consult with a qualified obedience trainer. 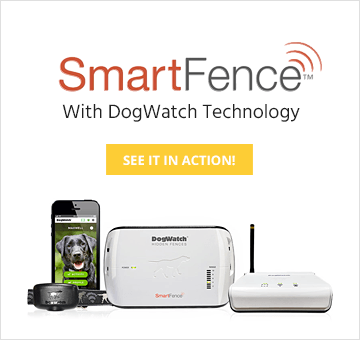 Does your dog overreact when visitors come to your home? When you’re expecting guests, make sure your dog has gotten plenty of exercise that day. A bored or restless dog is more likely to overreact to a visitor. When your guests arrive, have your dog leashed so that you can control and correct any attempts to jump or rush at the visitor. If possible, ask your guests to ignore the dog and avoid eye contact with her until she is calm and ready to interact politely – attention from these interesting strange people in the house will likely escalate the excitement level! How long can I store unused batteries? 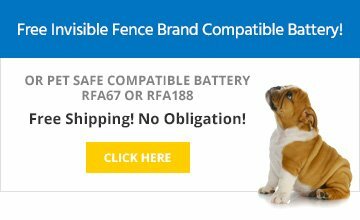 Fido’s Fences batteries have a shelf life of several years, so go ahead and stock up now. We recommend that batteries be stored in the original packaging. Remember if you leave batteries in the receiver collar, they will run down in about 3 months, regardless of whether you’re using the collar, so when you are storing the receiver collar for an extended period of time, remove the batteries to preserve battery life. The same rules for when you meet a new dog apply for when a new person meets your dog. 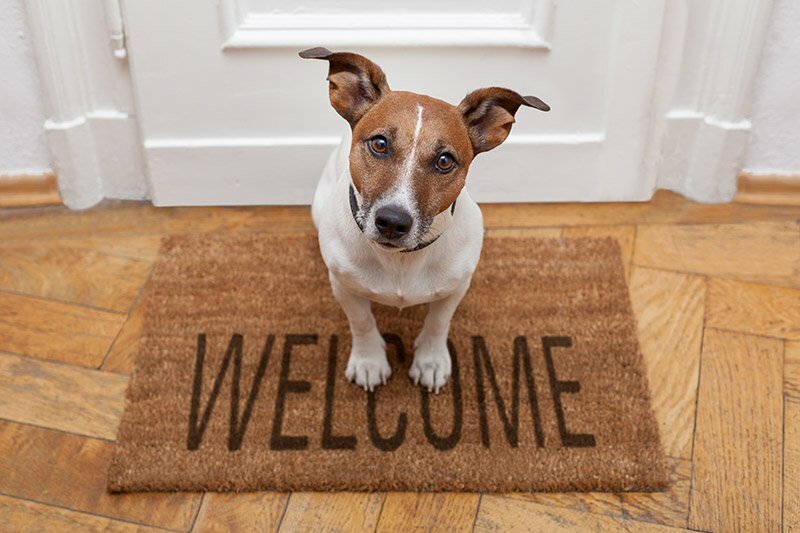 Make sure visitors know the house rules in advance so you can easily manage your dog’s behavior during the introduction. Do not allow the dog to bark or jump up on the visitor. Visitors should avoid greeting the dog verbally and should not make eye contact, instead waiting for the dog to get comfortable with their scent and approaching with a gentle touch or nuzzle. At that point, your guest may be affectionate with your dog – if your guest wishes to. Keep in mind that your dog can remember many, many distinct smells, so they will form a lasting impression of a guest after just a few meetings. It’s worth taking the time to make sure the introduction goes smoothly. When you meet a new dog for the first time, of course the impulse is to run up and pet him right away, and make friends. But a dog’s version of getting to know you is a lot different than a human’s! A pack leader never approaches followers, the followers should come to the leader. Don’t make eye contact right away, this is too much too soon. Let the dog approach you and sniff you, and wait for a signal such as a gentle nuzzle or rub as a signal it’s time to be affectionate. Then you can pet the dog and tell her how beautiful she is! Remember that taking the time to get acquainted on the dog’s terms will lead to a much better long-term relationship.